At just about every casino in Canada, or even the entire world, the game of blackjack is by far the most popular game played. 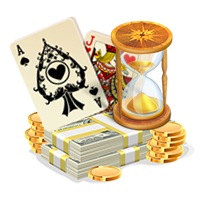 For decades, blackjack has been popular with players of all ages, gender and races and is recognized by Wikipedia as the single most widely played casino game in the world. 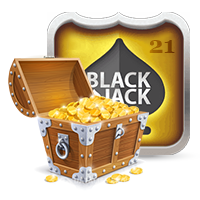 Blackjack is also known as "21," a reference to the goal of the game. Blackjack is an evolution of the game "twenty-one" which is of unknown origin. The first known reference to the game was made by Don Quixote author, Miguel de Cervantes. The story was written sometime between 1601 and 1602, meaning that the Spanish version of twenty-one (known as "ventiuna") has been played in Spain since, at the very least, the beginning of the 17th century and probably much earlier. There are many references to the game in both France and Spain. Many believe that twenty-one is a derivative of a French came called "vingt-et-un" which is another translated term for twenty-one. In less than 100 years blackjack has become a favorite gambling pastime for Canadian online casino players. 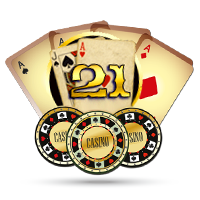 In Canada and the United States, gambling houses offered bonus payouts to bring in new players to twenty-one. The most popular bonus was a ten-to-one payout if the player's hand consisted of an Ace of Spades and a black Jack (either the jack of spades or the jack of clubs). This hand was referred to as a "Black Jack" and the name quickly stuck to the game, even though the ten-to-one bonus did not last long. As many players know, in the modern game, any ace plus a ten or face card is referred to as a blackjack. The game of blackjack was originally known as "twenty-one" and is still referred to that moniker to this day. The objective of the game has always been the same, to have your cards total a number higher than the dealer, with the maximum value being 21 and at no point go over the limit. Players in North America were very hesitant to break away from poker and craps games, but when casinos offered ten-to-one bonuses, they started playing the game and referred to it as black jack, a reference to the hand one would need to get a bonus. While casinos eventually pulled the ten-to-one bonus for that particular hand, game evolved to the modern definition of a blackjack (any ace with any other card ten to king) and the payout structure of three-to-two as a bonus for a blackjack. The game twenty-one has been played for hundreds of years, but didn't take off in North American until casinos started offering lucrative bonuses if they hit a black jack and the ace of spades. Blackjack in its current form didn't take off in North America until the 1930s when gambling became legal in Nevada. Once Canadian tourists got in on the action and brought the game home, blackjack tables quickly took off in all provinces. Many credit three major components of the game for the popularity it enjoys today. First, the rules are extremely easy and any average person can pick up the mechanics and rules within minutes. Second, the game is not played against other players (like poker) and only against the house. Third, the game is social as five players can sit at a table and socialize while they play. Canadians didn't see blackjack until the mid-19th century and critiqued the game as inferior to both craps and poker. As stated earlier, to get players to "twenty-one" tables, casinos started to offer ten-to-1 odds. After getting a taste of the game, players stuck and casinos were able to drop the massive bonus without the risk of players leaving. Some of the most well-known gamblers of all time hail from Canada and have made their place in blackjack history. Brian Zembic is a high roller from Winnipeg whose exploits were captured when he took a bet to get breast implants. Another Canadian, Monica Reeves, is well known around the world for her achievements in the game, including at the Ultimate Blackjack Tour which was televised in North America. While casinos are not common in Canada, the rise of the internet technology has made online blackjack the most popular form of the game today. Currently Canadian law is interpreted by experts that say that there is no crime in logging into an account and playing online blackjack in Canada.